I own a Honda City petrol variant and while I love my car, my changed needs require that I change my car to a diesel one. You see, I commute to about 100 kms per day and with the rising prices of petrol, the cost of travelling has put a deep dent on my pocket. To reduce the cost of travelling, I decided to exchange my Honda City with a smaller diesel car. I also didnt want to compromise on my comfort so I thought of giving Maruti Suzuki Swift and Hyundai i20 preference over the other cars. Happy with my decision, I went to a nearby car dealer who had been suggested to me by my neighbour. I told him about my car which is a 2007 model in pristine condition. Expecting atleast 3,00000, I was shocked when he quoted 2,00000 for it. I told him that my car had been kept maintained, had no dents and looked almost new but he didnt budge from his quotation. Frustrated and a bit let down, I came back home. I could not give away my beloved car for such a puny amount. I decided on taking the help of the internet and then thought about Quikr NXT. 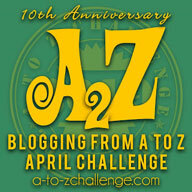 How could I have forgotten about it? I had absolutely loved the Quikr website which had previously helped me in shopping for a mobile upgrade (Read about it here). Then Quikr came out with Quikr NXT which makes the shopping experience on Quikr even more sweeter with its simple and very helpful chat option which keeps our mobile numbers private and helps us chat with the buyer and seller without giving away our information and at our convenience. I talked about Quikr NXT in a previous post and as you remember had loved it (Read about it here). Eager and with a new hope, I quickly typed the url for Quikr: http://www.quikr.com and was taken to the website where I easily posted an ad for my Honda City for free, quoted my price with a picture of the car and also gave a brief summary of the car. I was happy and sure I would get a good deal on it. Now I wanted an upgrade. I was ready to take a second hand car but wanted the following features in my new car like a diesel variant, a trusted car company, budget price, a known car model etc. and was surprised to see that I had options to trim my search by selecting the right filters. I had other options like Location, Ads posted by etc. also available to further trim my search if I wanted to. After selecting my filters, I was happy to see several great ad listings flood the screen and after searching a few of the options available I got the car I liked. 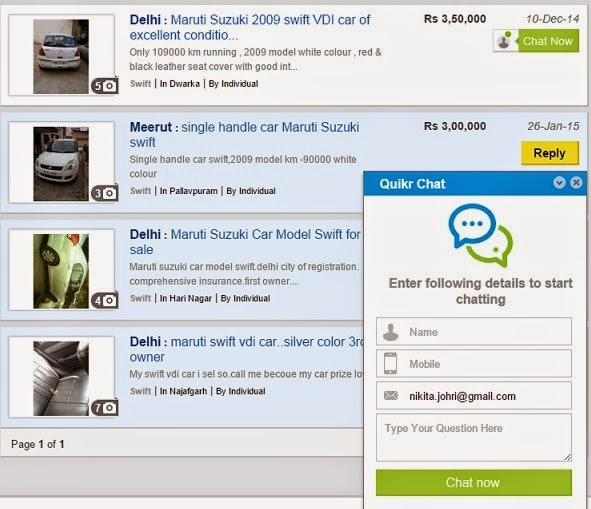 The best thing about Quikr NXT is that there is a "Chat Now" option available in green right beside the ad. I loved the fact that all my personal information is still private and I am now more secure from getting any unwanted calls from fake people and from the danger of having my mobile number fall into the wrong hands. I can chat with the seller at my convenience without having to think if it is the right time to call or rush from some important work to take the call. I don't have to make even a single call and even better the chat is available on desktop, mobile and via the Quikr app. It's also free! I am safe now, more assured of getting a genuine and a great deal and a more fulfilling experience. All thanks to Quikr NXT. Have you tried getting a better car from Quikr NXT? If no, then go try it. You will see the difference yourself and be thanking Quikr NXT in no time!